A child affected by severe malnutrition, treated in the therapeutic nutrition center (CNT), in the MSF-supported hospital. It’s 7.30 in the morning and the clouds in the sky are holding back the heat. Soon it will rise, forcing people under the trees to find relief in the shade. The day starts early in Am Timan, in the east of Chad. Am Timan hospital, which MSF has worked in since 2006, is already bustling with people. A chorus of babies’ wails echo out from the paediatric ward – the first sign that the little patients are all awake. Doctor Yannick Tsomkeng takes us on a walk through Am Timan hospital. Dr Yannick Tsomkeng, an MSF doctor working at Am Timan hospital, starts his medical consultations in the therapeutic feeding unit, in the paediatric ward. "Children arrive in critical health conditions, so compromised that often it’s too late to save them and they pass away within 24 hours of being hospitalised. Here they’re the first victims of the lack of food, poverty and dangerous nutritional habits,” Dr Yannick says. "At the beginning of the month, the therapeutic feeding centre had already exceeded its capacity. In the last week, 46 severely malnourished children, all suffering from medical complications, have been hospitalised." By May, the nutritional feeding centre run by MSF, was already over its capacity of 60 beds, with 325 malnourished children admitted in that month alone. It’s expected that this number will only increase over the coming months. But despite the high numbers of children requiring treatment, and the strain this puts on medical staff, the crisis is not unexpected; nor is it the first time the region has been hit by such worrying numbers of undernourished children. From May to September each year, hundreds of thousands of people in Chad and in the entire Sahel region endure extreme food insecurity due to the lean period, a result of the dry season coupled with low food stocks. A recurrent nutritional crisis has just started in Chad’s Salamat region, and has spread to other parts of the country. Fanna, 19 years old, sits on a bed in the nutritional centre with her baby. She struggles to feed her three children. “My boy was sick. He couldn’t eat at all. He kept on vomiting. After four days, he was so weak that he couldn’t react and I decided to bring him to the hospital. It’s hard to stay in the hospital for several days, when there’s no one who can look after the other children,” Fanna says, holding Moussa, eight months old. Moussa doesn’t complain, despite his feeding tube, which seems so big on his gaunt face. He’s too feeble even to cry. He stares at people around him, with his big brown eyes, in visible pain. He’s been hospitalised due to severe malnutrition and complications. “I knew there was a nutritional programme in the hospital because my oldest daughter has been hospitalised before, because she was malnourished. We eat once per day. The food is never enough, so my children often get sick. And now it’s even worse, since the harvest is over,” Fanna says. This food emergency is the result of several factors. Inadequate nutritional practices, climate change, difficult access to land and drinking water, and the poor education and fragile health sys-tems in a country which is in the midst of a deep economic crisis. In 2017, the nutritional situation deteriorated significantly and the lean season arrived early, throwing nearly 900,000 people into severe food insecurity, according to the United Nations Office for the Coordination of Humanitarian Affairs (OCHA). Of the country’s 23 regions, 12 have now been declared as facing a ‘nutritional emergency’. The prevalence of severe acute malnutrition has exceeded the emergency threshold by two per cent in 15 regions. In a country with the sixth highest child mortality rate in the world, the first victims of this cyclical nutritional crisis are inevitably children under the age of five, who are the most vulnerable. In Chad, malnutrition is one of the main causes of child mortality and one child in seven dies before her or his fifth birthday, also according to OCHA. A child suffering from severe malnutrition in Am Timan hospital. In order to combat these high mortality rates, in the nutritional feeding centre in Am Timan hospital, during their treatment patients receive special food to help them recover their appetites and responsiveness. They’re fed with therapeutic milk containing sugar, oil, minerals and vitamins, and with a high-protein peanut paste fortified with vitamins and minerals. The children admitted to this programme have a very low weight for their height and severe muscle wasting. They may also have nutritional oedema – characterised by swollen feet, face and limbs. The hope is that they can be discharged when they’re able to eat again, without medical assistance. When their patients finally reach a stable level of health, MSF teams combine medical treatments with a daily session of cognitive stimulation. Severely malnourished children may have mental and behavioural developmental delays that, if left untreated, can become the most serious lasting con-sequence of malnutrition. Emotional and physical stimulation through play can significantly reduce the risk of mental deficiencies and irreversible effects of prolonged malnutrition. For this reason, MSF teams organise ‘stimulation sessions’ every day, with various games for mothers and children undergoing nutritional treatment. Aya Sonoda, IEC coordinator in Am Timan, playing with a child during a session of physical and emotional stimulation addressing severely malnourished children, in the MSF-supported hospital. “We realise, day after day, how important play and maternal care are as part of the recovery process. During the stimulation sessions, mothers are encouraged to play with their children using toys, and to interact with them in other playful activities. The results of this are touching. We see children recovering their reactiveness. Above all, they smile and play again together. It’s so important to involve parents and to encourage the emotional care of children,” explains Aya Sonoda, MSF information and education coordinator in Am Timan. 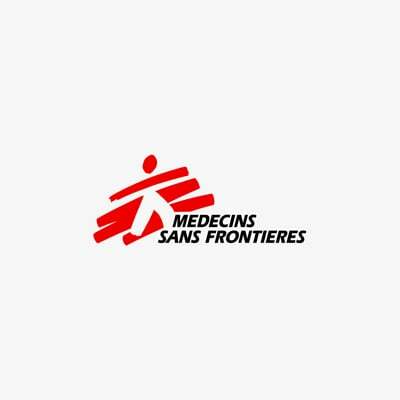 MSF, active in Chad for 37 years, has an emergency response unit (CERU) providing rapid response and delivering medical care in less than 72 hours in case of emergency. In Am Timan, in the region of Salamat, MSF supports maternity services, neonatology and the nutrition programme. In Moissala, Mandoul region, MSF runs a programme for the prevention, detection and treatment of malaria among children and pregnant women. In the eastern Logone region, MSF has launched primary medical assistance activities targeting Central African refugees and the local population. To tackle the nutritional crisis during its peak in the lean season, MSF teams are supporting three health centres in Am Timan to screen and treat malnutrition. They’ll be present until the end of October 2018 to treat malnourished patients with medical complications. MSF also supports neonatology and maternity services for complicated deliveries in Am Timan hospital, with activities planned to continue until October 2018.